Tis the season to be jolly – you friendless piece of sh#t! 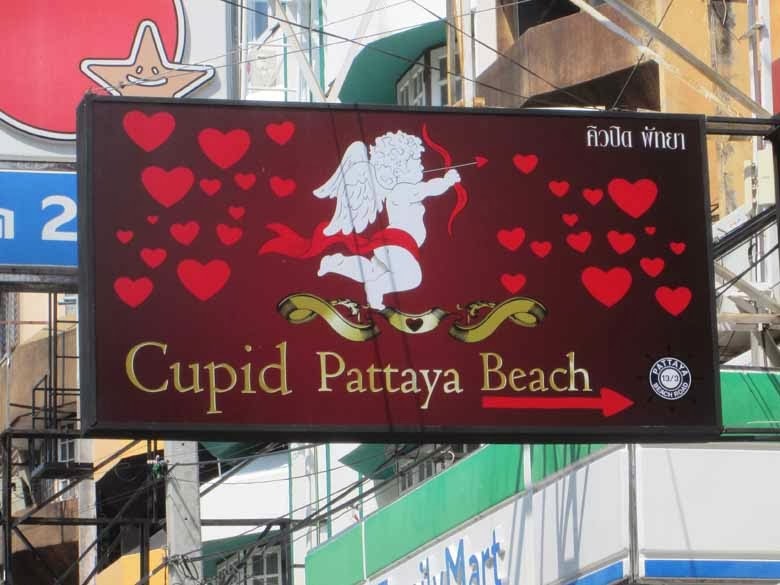 Sadly one person has not entered the seasonal mood down in Thepprasit Road, Jomtien, on Thailand’s eastern seaboard. He has been very quiet. At least so I thought. But no! Drew Walter Noyes, the fake American lawyer, exposed time and time again on this website, has been messaging his former employee Ivan Schiffer, in terms of hate. Noyes is the ghost of Christmas Past. 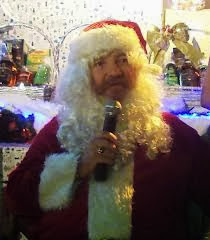 Last year he was sued by Father Christmas for allegedly calling him a drugs trafficker – but unfortunately Father Christmas (Andre Machielsen) lost as he never thought that the judges would actually believe Noyes’ defence that somebody else (one of his enemies) must have used his GMail. Anyway finding that Schiffer was warning people about his tricks, Noyes reported Schiffer to Immigration Police, who deported him to Brazil after he turned up at the Cambodian border to make a belated visa run. Schiffer had proffered the requisit 20,000 baht overstay fine– but it was not accepted – as Noyes had predicted. 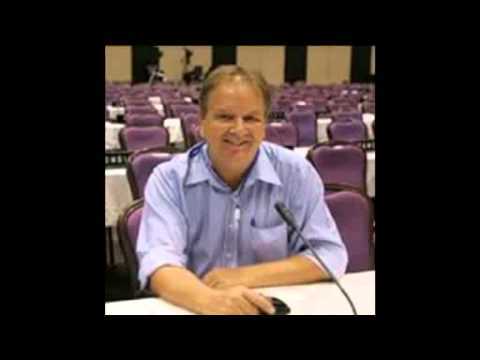 However Schiffer duly turned up back in Thailand recently to see Noyes squirm though an evening at the FCCT, and to find his aromatic oils business had been taken over by – a friend of Drew Noyes’ – I guess he is on the warpath together with a Red Indian (ok native American) who paid Noyes 1 million baht for shares in the Pattaya Times newspaper – and all he got was a press card like Ivan’s and a Pattaya Times bomber jacket (500 baht). 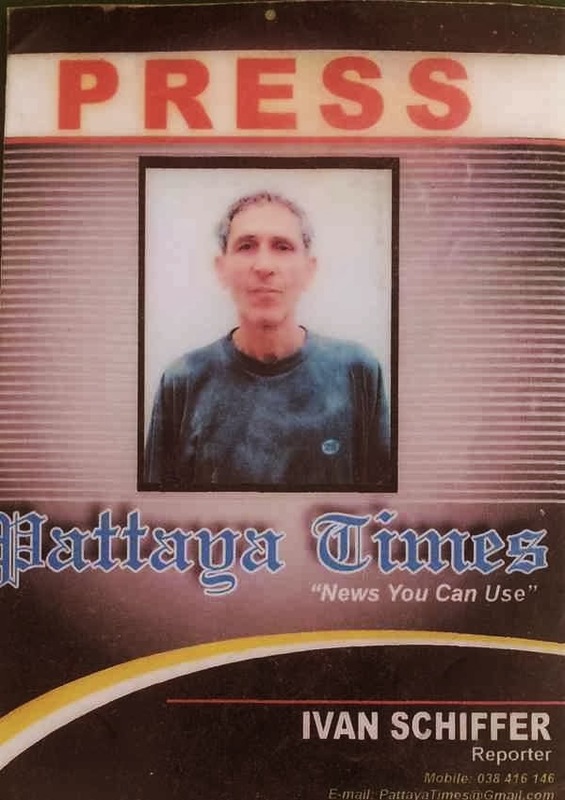 The Pattaya Times, which Drew Noyes boasted falsely had a readership of 500,000 ( over 100 people must have read each copy printed) of course has now bombed. Noyes says in his messages he is going to get Schiffer arrested. “Let’s see how much help your friend Drummond is now that you have already given him all you had of interest. You have no morals (strange this coming from Drew Noyes) and deserve what is coming. I prefer they catch you soon so you sit in jail for a long time without bail. Schiffer had tipped off an American businessman not to get into business with Noyes. The businessman told Noyes about Schiffer, hence the fireworks, and fiery words. The American businessman claimed he was however US$250,00 down, having, he said, been sold a condo at 5 times its market value, and found that Noyes had invested in two projects called ‘Cupid’s’ – which nobody wants. He has said in retrospect he wants to thank Schiffer. And knows how he can show his gratitude for the advice he did not take. perhaps over the Yultide Period ‘Elves Eleven’ – Santa’s Little Helpers? – Snow White’s? or ‘Ho Ho Ho’s’. Tis the season to be jolly, fa-la-la-la-la, la-la-la-la. 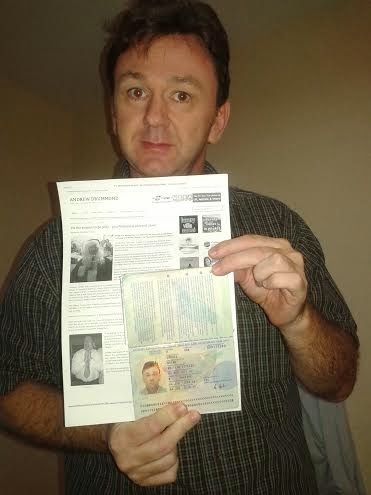 Finally this just in from Mr. Brian Goudie on Koh Samui I presume who wants to show he still is in possession of his passport. 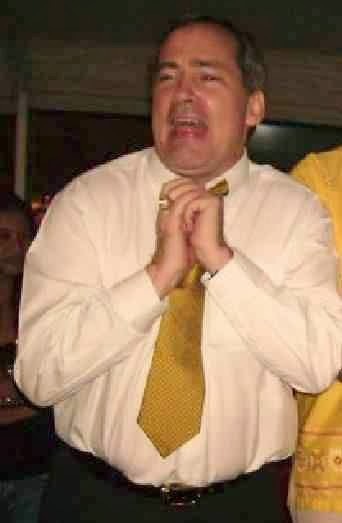 I am more than happy to publish this picture at his request. Several lawyers of course want to know: Is he going places?